Business cards may be small but they have a big impact. They serve as the welcome mat to your promotional door. That is a significant role and why a quality card is so important. Our business cards are thick and durable, not flimsy and you even get to use our free online easy design tool. This makes it easier for you to create a business card layout. Simply add text, photos, or logos and you’re done. 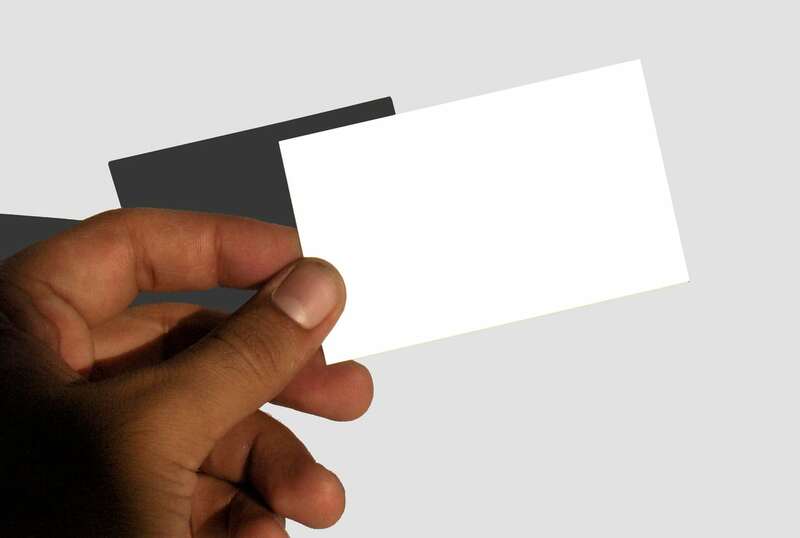 The standard dimensions of a business card are (2” x 3.5”). If you have something more creative in mind, you can set custom sizes for your business cards with dimensions ranging from 2” to 4”. 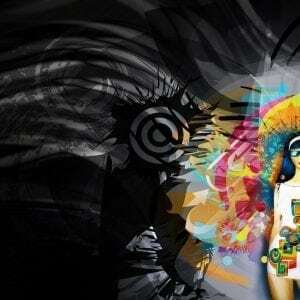 Rotate your design and you have vertical business cards as well. 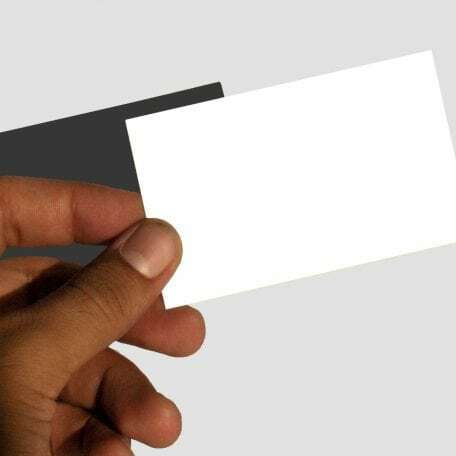 To prevent technical errors such as low resolution images or design/text getting trimmed, you can use our blank business card template for reference. Thin and thick business cards are available, ranging from 14 pt. to 17 pt. cardstocks, with a printing turnaround of 1 to 3 business days.